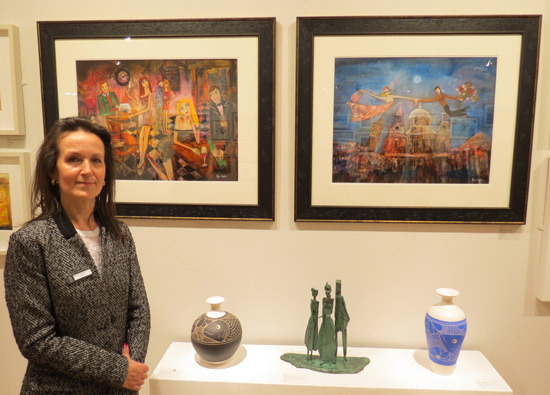 I've had an ambivalent relationship with the Society of Women Artists in the past. In principle, I support the idea of an art society intentionally made up of women as too often the artwork of women artists has been overlooked. On the other hand, I'm also an unequivocal advocate of art societies being rigorous with their selection process and only showing the best work submitted - irrespective of whether it was by members or from the open entry. A few years back I used to go to the annual exhibitions of the Society of Women Artists - but stopped going as, to my mind, the exhibition was little better than the annual exhibitions of some rather more parochial art societies. In other words it offered no great merit or reason to attend and I certainly wasn't motivated to review it. 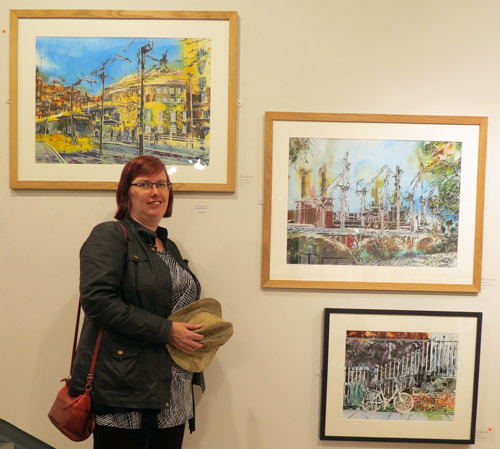 Last month I had an invite from the Society to attend their private view of the 154th Annual Exhibition. Last week was a very sad one for me and I needed some time out so I didn't go to the PV but instead visited yesterday afternoon instead. .....and the young artists section. The challenge for an art society like the SWA is that the only commonality is all the artists are women. 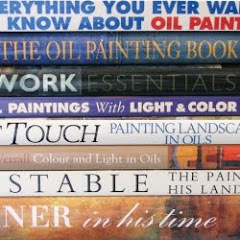 There is no common interest in terms of subject matter. Subjects included anything and everything. 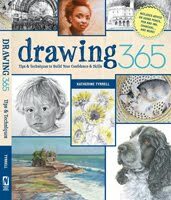 Those showing include everybody from well regarded members of other national art societies to people who are obvious amateurs. 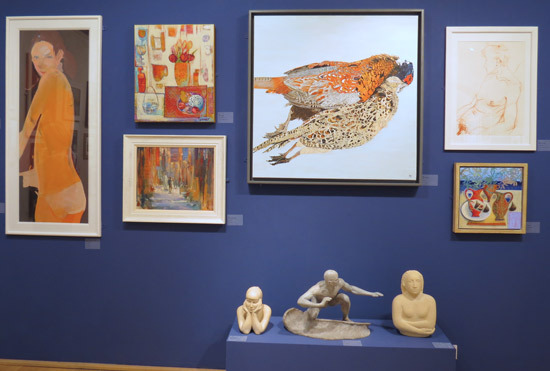 The exhibition has been hung in such a way that most of the membership are in the large West Gallery, while most (but not all) of the open entry is in the North Gallery - along with the young artists. It looks good when viewed from a distance - but in my view could do even better in future. The issues largely relate to the individual pieces but there's also in my view scope for more a more thematic approach to the presentation. 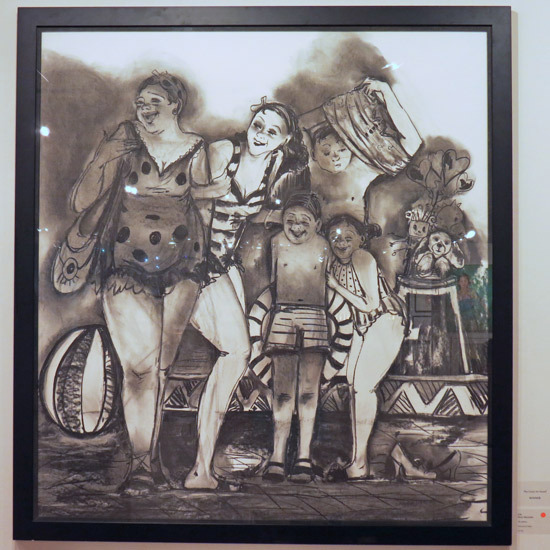 I particularly liked the wall of fine art prints introduced this year by Rosa Sepple who hung the exhibition. 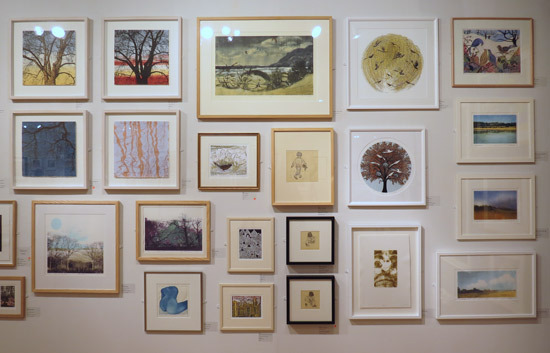 It had great appeal and included some very good work across a diverse range of printmaking practice. I talked with some of the Executive yesterday and it became apparent that standards of selection have improved in recent times. Some of those who were members in the past no longer submit work - and that quite probably explains in part why the exhibition is looking better from my perspective. 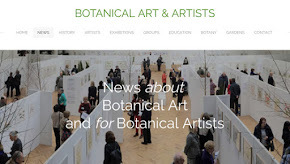 It's an invidious situation for any art society to have members whose work is not of the standard now required to gain admission - but it's a nettle which must be grasped if only to create an incentive to the members to work hard for the exhibition. 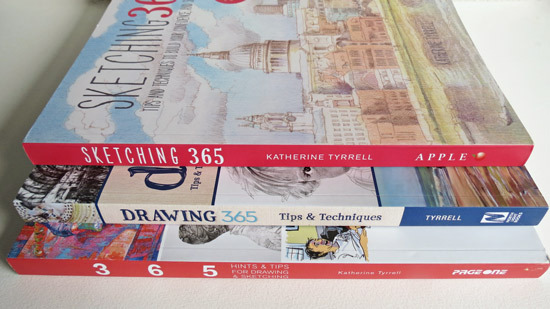 It's even more difficult when an artist's work tapers off in quality terms as the artist gets older and eyesight and/or dexterity become a major problem (and I speak as somebody who has experienced problems with both!). However, in my view, if an art society is thrive and develop and maintain a good reputation - and recruit good new members - then there should be no automatic assumption that work gets shown simply because it's by an artist who is a member. ALL the art exhibited must meet the standard required of new members - or else the society cannot be said to be genuinely promoting excellent art. 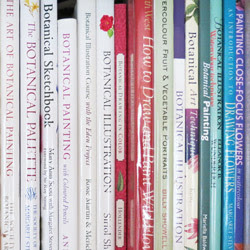 there's rather a lot of 'created in the studio' and rather too little 'painted plein air'. I'm not quite sure why that is - however the 'painted from a photograph' quotient is rather too high for my liking. Particularly where people lack the skill to adjust for tonal values. Some advice to those proposing to submit work about framing wouldn't go amiss. I saw some really awful frames. 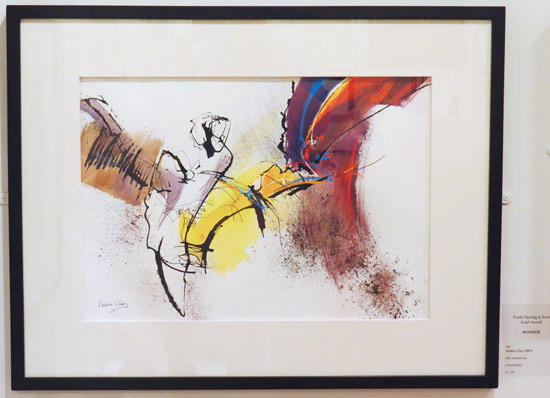 The notion that one should err in London towards simpler frames in black, white or neutral tones is one that needs to be impressed on some artists. After all, sales can sometimes be deterred simply due to 'look' of the frame. 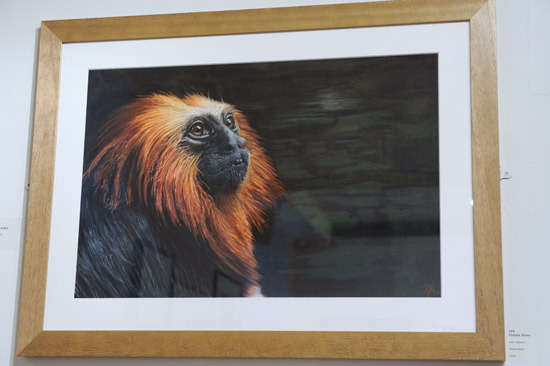 'Lion Tamarin' by Pamela Stone won the HRH Princess Michael of Kent Watercolour Award. 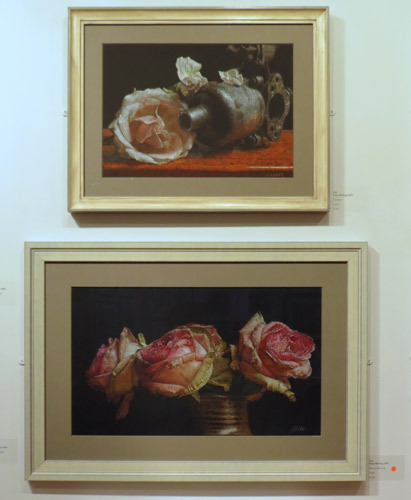 Pam exhibits regularly at the Mall Galleries with the The Royal Institute Of Painters In Water Colours, the Royal Society of Marine Artists, the Society of Wildlife Artosts as well as the Society of Women Artists. 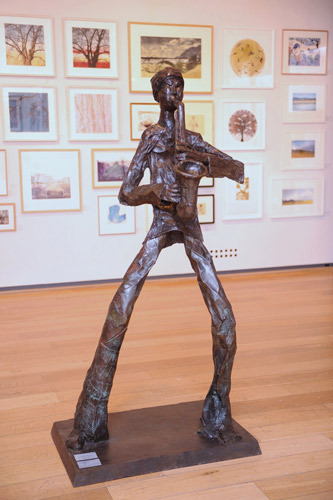 The £2,000 SWA President's Award went to the bronxe sculpture of the Jazz Man by Helen Sinclair. Helen has been a a full-time sculptor since 1988 having studied sculpture at Wimbledon School of Art in the 70s. The Barbara Tate Memorial Award went to Cathy S. R. Read SWA her painting of "Stopping at Central Library" which I think I'm right in saying is from the tram stop opposite the iconic round Central Library in Manchester. Cathy was demonstrating her unusual technique of drawing with masking fluid before 'painting' with watercolour and acrylic yesterday - hence the photograph of the artist with her work. 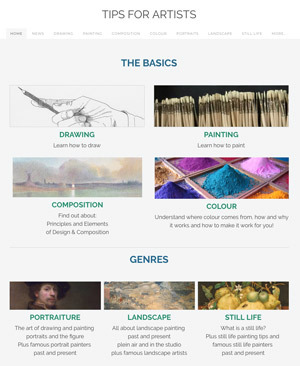 There's a great explanation of how she creates her paintings on her website - very much a RECOMMENDED READ! The Caron Keating Memorial Award went to a very striking and strong painting called 'I am Eve' by Dominika Zurawska born in 1982 in Poland. Anna Mazzotta, one of the youngest winners of the prestigious Jerwood Drawing Prize, trained at The Wimbledon School of Art and The Royal College of Art. The Derwent Art Materials Award went to 'Why?' by Stephie Butler ASWA. 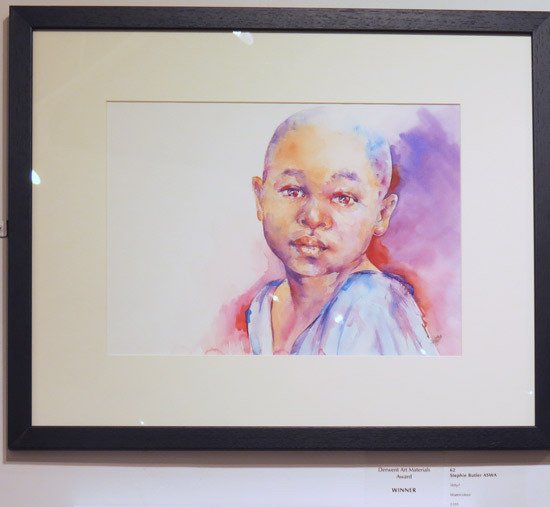 She specialises in watercolour paintings of children. Andie Clay won the The Frank Herring & Sons Easel Award with a watercolour painting of 'Blues Saxophonist'. This is one of three paintings from her musician series selected for the exhibition. The Rosemary & Company Art Prize was won by 'Steve' by Zi Ling. 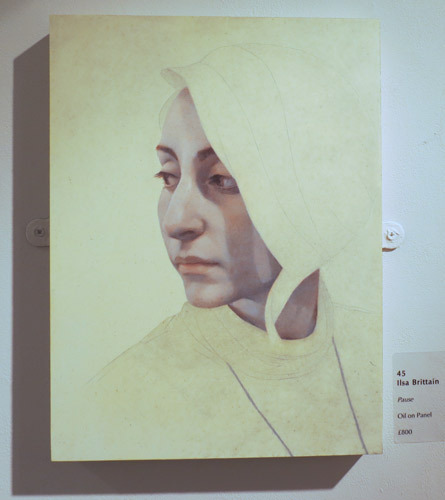 The Artist, 'Editors Choice' Award went to 'Noemie' by Rebecca Fontaine-Woolf SWA. She is currently studying for an MFA in Fine Art at Wimbledon College of Art. She has an extensive record of exhibitions. The St. Cuthbert's Paper Mill Award went to 'Seventeen' by Elaine Speirs and is a painting via the open entry. 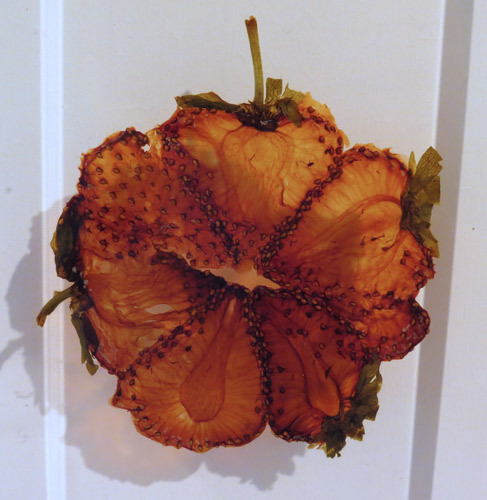 Elaine is based in Edinburgh and studied art at Edinburgh College of Art and the Slade School of Fine Art in London. I found there was more variation in media than I expected and a lot of what appealed to me in this exhibition were works which were 'unexpected'. Here's a crop of Dizzy Pragnell's Still Life in the latter - it looks like a flower but is actually slices of of strawberry arranged in a circle. Dizzy has previously exhibited at the RA Summer Exhibition and the Turner Contemporary in Margate. The best portrait I saw was an egg tempera painting by Trish Claridge. It would be nice to see more portrait triptychs like this in the annual exhibitions of the RSPP and/or BP Portrait Award! It makes a nice change from big heads. It's also very pleasing to see older women making paintings of older women - there's far too few of them around! 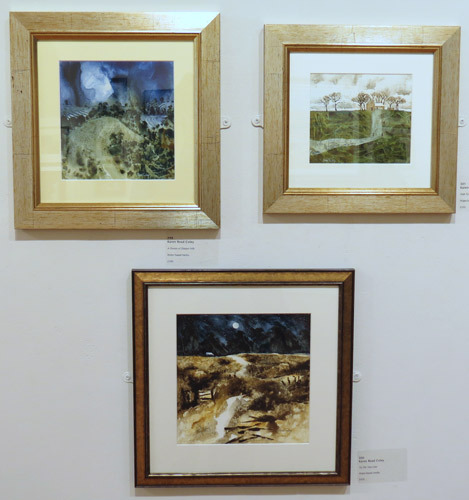 Karen Read Coley's watercolour landscapes impressed me. Though all my paintings are based on real places, it is more the memory of the place. I do not want to paint a literal view. Many are inspired by the night-time or dusk when everything seems mysterious, especially under the dream-like quality of a full moon. Her work was in the open entry section of the exhibition. 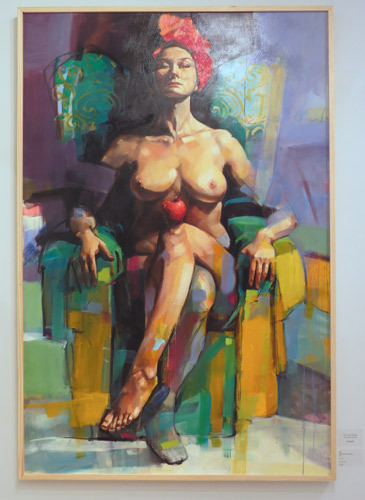 However she has previously exhibited at the RA Summer Exhibition (and this year is at the 25th "Not The Royal Academy" exhibition at Llewellyn Alexander Gallery) and the annual exhibition of the RI. I liked the strong design and story-telling quality of the four paintings (below) by Angela Brittain who this year was elected as a very worthy Associate of the SWA. She's an artist who creates figurative art which delivers contemporary narrative - which I feel very strongly is the missing element in so very many exhibitions curated by those who like to keep looking at the same sort of artwork! I picked out Angela as being the artist who has produced an artwork I thought had produced one of the most interesting and innovative works at a recent exhibition (see UKCPS Annual Exhibition 2015). I will repeat what I said last time which is that she needs to work bigger - and the prizes will start coming! These two works by Irene Lees, whose drawings (top and bottom in the image on the right) are entirely created by handwritten words in ink. I've seen written drawings before but these genuinely impressed me. Irene Lees was born in Oldham, UK, and currently lives and works in Cornwall. 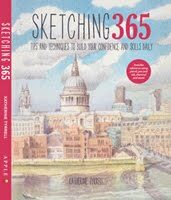 In 2005 she gained a BA Hons in Drawing and Applied Arts at the University of the West of England, and in 2007 became a member of the SWA. I loved Patsy Whiting's still life drawings in 'crayon'. I've seen her work before and it always has my nose up to the artwork teasing out how she gets the very nice combination of colour and light while working with a black background. There's a strong tradition of artwork involving children by women artists and Sharon Low's small etchings of children were delightful. You can see them better on her website. The exhibition continues until 13th June and is open between 10 and 5 except for the final day when it will close at 3pm. On Thursday evening there will be a special late opening - until 7.30pm. 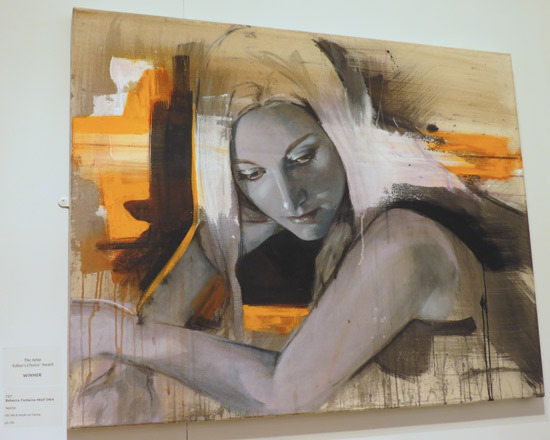 Admission £3, Free to Friends of Mall Galleries, National Art Pass holders and under 18s. 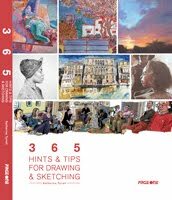 Their very nice catalogue is also £3. Interesting, I had discounted entering this society exhibition for all the reasons you have listed above. I still feel a bit uncomfortable about it being women only, imagine the outcry if a men only exhbition was established. It feels like double standards. However the work is impressive, and well hung, I will try and visit this week. Now, please could you give the Society of Equestrian Artists a shake by the scruff?! I enjoyed your review of the SWA Exhibition. 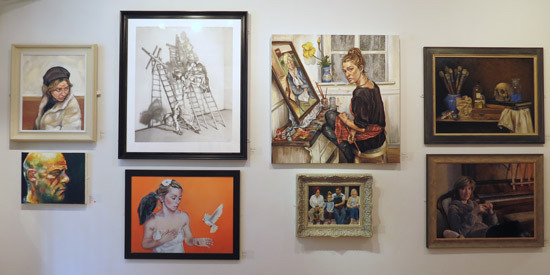 I belong to the San Francisco Women Artists which has a gallery in S.F. 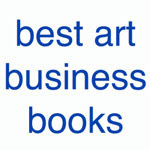 The monthly shows are juried by different jurors, so the work is very good. We don't have an "annual" exhibit in a large space, but that is something to think about!